Rachel Levenson ’12 was featured in the Nov. 7 Jewish Daily Forward as one of “10 Young Jews, Making a Difference.” In September, the Forward asked readers to nominate Jews, age 21 and younger, who are working to make a difference locally or globally. Levenson made the list for her efforts studying money-lending practices in Africa. “When I was part of the Jewish Community Teen Foundations, I was really drawn to… this question of, with limited resources, how do you maximize your effectiveness,” she says in the article. Her research became part of a larger project led by schools — including Yale and Harvard universities — gathering data on informal money-lending across developing countries.“By understanding this other piece of the puzzle, organizations can make their financial services more effective,” she said in the article. 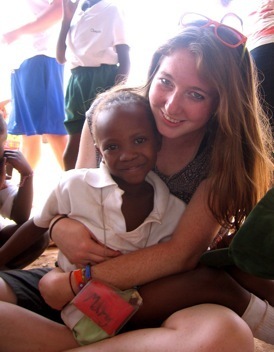 Levenson is currently applying to jobs in sub-Saharan Africa that will allow her to continue development work. The “Making a Difference” article is online here. The Class of 2015 Freeman Scholars. The Wesleyan Freeman Asian Scholars Program welcomed 11 new students to the program during a Freeman Scholars Dinner Oct. 6. 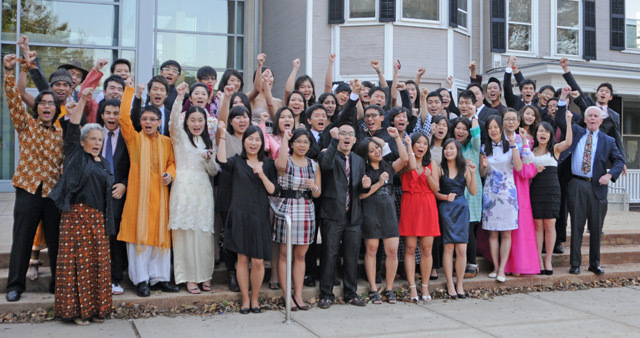 The program enables qualified young men and women from each of 11 countries or regions – The People’s Republic of China, Hong Kong, Indonesia, Japan, Malaysia, the Philippines, Singapore, South Korea, Taiwan, Thailand and Vietnam to come to Wesleyan on full tuition scholarships. 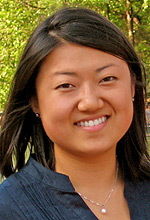 “I am fortunate to work with the Freeman Asian Scholars Association; so many are friends. I love their energy, good spirit and their wonderful creativity and culture they inject into the community,” says Gina Driscoll, associate director of development events. This program is made possible by Wesleyan University and the Freeman Foundation, which aims to improve understanding and to strengthen ties between the United States and the countries of the Pacific Rim. Entry into the Wesleyan Freeman Asian Scholars Program is highly competitive: only one student is selected annually from each country. The Freeman Foundation, led by the late Houghton Freeman ’43, his wife Doreen, and their son Graeme Freeman ’77, launched the program in 1995. 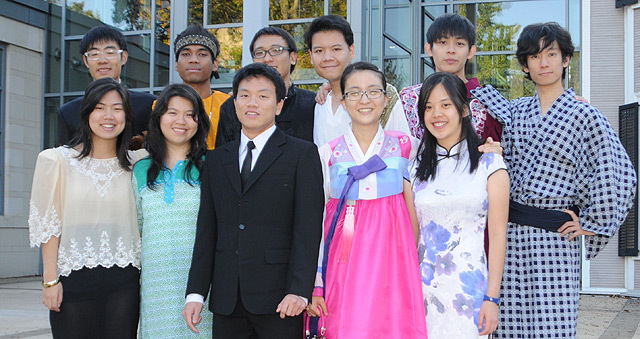 The 2011-12 cohort includes Tong Satayopas of Thailand; Dat Vu of Vietnam; Kehan Zhou of China; Kaito Abe of Japan; Marianna Ilagan of the Philippines; Rizky Rahadianto of Indonesia; Chun Kit Ng of Malaysia; Inha Cho of the Republic of Korea; Michael Leung of Hong Kong; Jill Jie’en Tan of Singapore and Yun-Hsuan Lai of Taiwan. Craig Malamut ’12 helped photograph the Easter Island solar eclipse July 11 as a participant of the Williams College Eclipse Expedition. 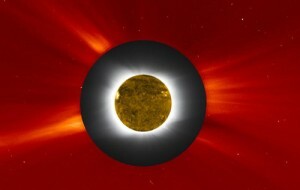 The composite image brings out the correlation of structures in the sun’s inner and outer corona. 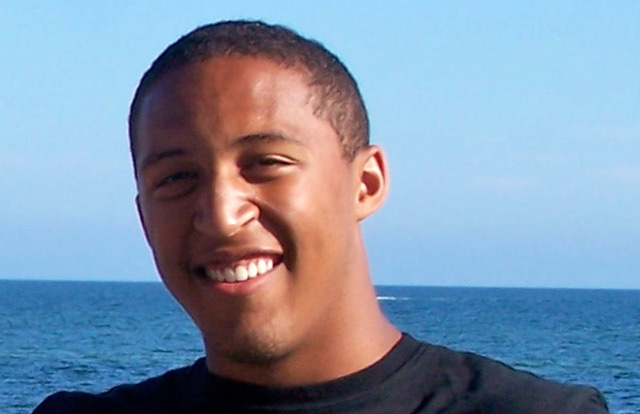 Craig Malamut ’12 is the primary author of “High-Resolution Imaging of the 2010 Total Solar Eclipse at Easter Island,” which will be published in the Coronal Courant, an on-line journal for students maintained by the Solar Physics Division of the American Astronomical Society (AAS). The article describes some results from experiments done during the 2010 total solar eclipse, for which he traveled to Easter Island. Malamut is also a co-author of “Structure and Dynamics of the 2010 Jully 11 Eclipse White-Light Corona,” which was published by The Astrophysical Journal in its June 20 issue. 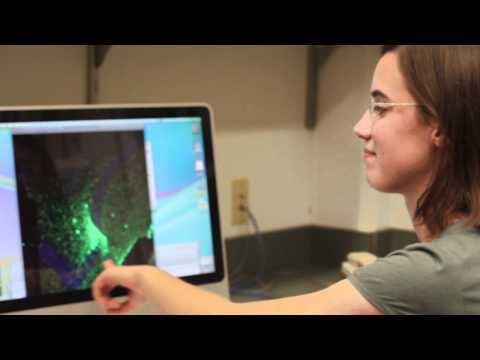 Malamut was supported by the Keck Northeast Astronomy Consortium’s REU program which is funded by the National Science Foundation through a grant to Wesleyan. Read more about Malamut’s efforts photographing the eclipse in this Wesleyan Connection article. The authors include Tsampikos Kottos, associate professor of physics; Fred Ellis, professor of physics, Joseph Schindler ’12, Ang Li ’13 and Mei Zheng ’10. The abstract of the paper is online here. Emma Daniels ’13, in center, spent six weeks this summer teaching kids about the sport of lacrosse. Most Wesleyan student-athletes spend their summers training for the upcoming season, but this past July, women’s lacrosse standout Emma Daniels ’13 took it a step further. Daniels, a College of Letters major, was one of 28 students selected for Beyond Study Abroad, a program that “aims to connect the world through sports,” according to its mission statement. She spent six weeks in Costa Rica taking courses, training and introducing local youths to the sport of lacrosse. Daniel, pictured in back, was one of 28 students selected for Beyond Study Abroad, a program that “aims to connect the world through sports." Q: Mary, what is your class year, and what are you majoring in? A: I’m a junior, and I’m double-majoring in neuroscience and behavior and English. Q: You’re currently working in the lab of Jan Naegele, professor of neuroscience and behavior, professor of biology. 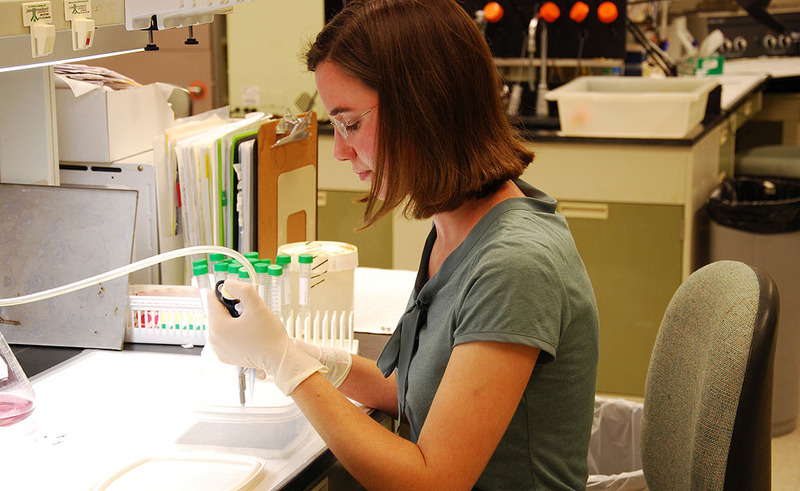 Can you tell us a bit about your research in the Naegele Lab? A: The Naegele Lab studies temporal lobe epilepsy (TLE), which involves instances of elevated electrical activity in the brain called seizures. In cases where medication does not alleviate seizures, TLE patients experience cell death and damage in the dentate gyrus, part of the hippocampal region of the brain. Using a mouse model of TLE, our goal is to replenish the damaged neurons via stem cell injections. And since seizure-related cell death especially affects a type of interneuron that normally inhibits electrical impulses, we hope that restoring those interneurons will help to suppress seizure activity. Q: This summer, you participated in the Wesleyan University Hughes Program, funded by the Howard Hughes Medical Institute. What was your summer-long research project? A: The project that I began over the summer analyzes brain sections from epileptic mice that have received stem cell transplants. I stain for a protein that marks transplanted cell axons and another protein called gephyrin that is found at inhibitory synapses. So far, I have found several instances where transplant axons overlap with gephyrin. These findings suggest that the stem cells form inhibitory connections that may contribute to seizure suppression. 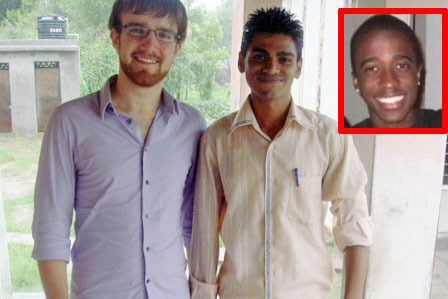 Alexander Small ’13 (at left) and Lennox Byer '12 (pictured in the insert) met with MINDS Foundation social worker Mehulkumar Solank (pictured in the center) during their visit to India this summer. Many Wesleyan students have ambitions to create positive social change and make an impact. This summer, two Wesleyan undergraduates, Lennox Byer ’12 and Alexander Small ’13, travelled to the state of Gujarat in India. Specifically, they travelled to the district of Vadodara where they resided at the Sumandeep Vidyapeeth University (MINDS collaborator) as MINDS Ambassadors. Lennox and Alex have been core members of The MINDS (Mental Illness & Neurological Disorders) Foundation since its incorporation in 2010. 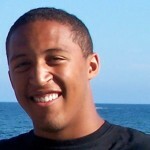 The MINDS Foundation is an organization founded by Wesleyan undergraduate Raghu Appasani ’12. The organization has a persistent commitment to taking a grassroots approach to eliminating stigma and providing educational, financial, medical, and moral support for patients suffering from mental illness in developing countries. The volunteers implemented Phase I of the organization’s four-phase grassroots program. 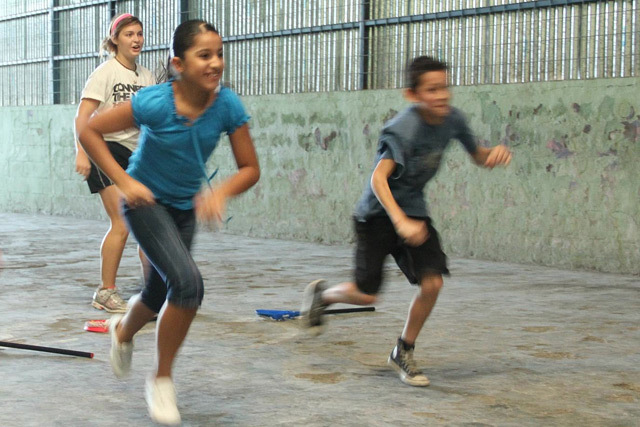 Phase I involves educating the rural communities about mental health care, how to pick up on symptoms, various disorders, and where to go for resources. Byer and Small travelled to three villages during their time in India and screened a documentary informing ~100 people in each village about mental health. The screening was followed up with a short lecture by a psychiatrist and surveys taken by the volunteers. The program reached a large number of people, especially relative to the size of the village. Phase I continues to run and data continues to be analyzed by a MINDS-hired local social worker. This upcoming winter break, another group of MINDS Ambassadors will travel to India to implement Phase II, which involves diagnostic screening camps in the villages. If you would like to get involved with The MINDS Foundation or volunteer, visit www.mindsfoundation.org. Emily Weitzman ’14 hugs one of her students at the Shining Hope for Communities Summer Institute. Weizman says many of the girls want to be teachers, pilots and doctors when they grow up. Six Wesleyan students and one alumna spent part of their summer in Nairobi, Kenya as volunteers in Shining Hope for Communities Summer Institute. The institute brings college undergraduates and recent graduates together with students from the Kibera School for Girls. Institute participants provided tutoring and mentoring during the mornings and helped run a summer camp at the school in the afternoon. The volunteers also worked on other Shining Hope projects, including the Johanna Justin-Jinich Community Clinic, a clean water project, toilet access project, community center, and a garden project.Shining Hope for Communities was founded three years ago by Kennedy Odede ’12 and Jessica Posner ’09. Four Student Fellowships are awarded by the center’s advisory board each semester. Wang is using the “Fact and Artifact” theme as a springboard for her senior thesis on diabetes. Read hopes to complete her honors thesis in English as a CHUM Fellow. During the fall semester, she will write a biography of the late Fred Millett, professor of English, emeritus, who taught at Wesleyan from 1937 to 1958. From childhood to his death in 1979, Millett kept meticulous written records, assembling his correspondence as well as self-publishing small books that chronicled different times in his life, including his years as a teacher and retiree. Read will use materials arrived at Wesleyan’s Special Collections and Archives as primary sources for her project. “Throughout his life, Millett existed in a delicate balance between propriety and passion, restraint and expression, and his navigation of this tension provides valuable insight into mid 20th century social upheaval in the United States,” Read says. Millett’s archive, including the undocumented story of his sexual orientation, call into question the very nature of “fact” inherent in the dissection and study of an “artifact,” and begs a question of what can we actually learn from artifacts of the past, when the indisputable or objective “facts” they point to may or may not exist at all, Read explains. “I hope to challenge conventions about the materiality of a human life that posit a single, unidirectional line between ‘artifact’ and ‘fact,’ the written word and the objective reality it explains,” she says. Guy Geyer ’13 received the General John A. Wickham Scholarship, awarded by the Armed Forces Communications and Electronics Association’s Educational Foundation. Geyer, a physics major, will receive a $2,000 scholarship. Candidate must be a U.S. citizen and working toward a degree in electrical, computer, chemical, systems or aerospace engineering; computer science; physics; mathematics; science or mathematics education; technology management; or management information systems. An overall GPA of 3.5 on 4.0 scale or better is required. General John A. Wickham, born June 25, 1928, was United States Army Chief of Staff from 1983 to 1987. 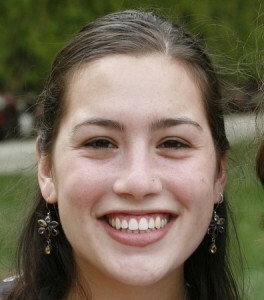 Geyer also received honorable mention for a Goldwater Scholarship in 2011. He studies an antimatter called antihydrogen. 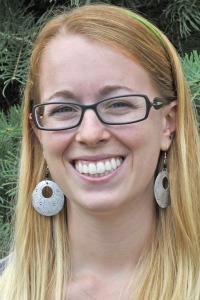 Nomi Teutsch ’11 received a Faiths Act Fellowship from the Tony Blair Faith Foundation. This year-long, paid international fellowship brings together exceptional future leaders inspired by faith to serve as interfaith ambassadors for the United Nations’ Millennium Development Goals (MDGs) with particular focus on malaria. Fellows build partnerships across faith lines in their home countries to show the world how faith can be a positive global force in the 21st century, and they work in local NGOs to mobilize communities to take part in malaria-focused, multi-faith action. Teutsch grew up in a vibrant, diverse neighborhood in Northwest Philadelphia. 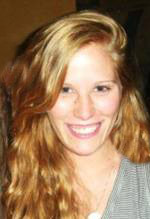 A progressive Jewish activist who is fluent in Hebrew, she majored in philosophy at Wesleyan. She has worked with a number of nonprofit organizations including the Center for Constitutional Rights, Encounter, J Street, and Shining Hope for Communities. As a volunteer, she has worked with incarcerated women in Connecticut and has led campus activism around issues of violence against women.